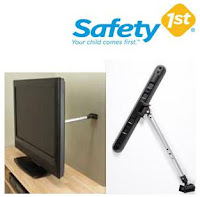 Safety First Flat Screen TV Lock. Locking bar extends 6"-20" and pivots left to right for perfect viewing. Prevents TV from moving forward or backward. 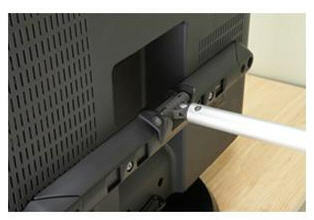 Attaches to existing VESA mount holes on back of TV. 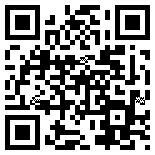 Fits most 32"-60" flat screen televisions.